We are proud to announce the addition of Green Roads CBD oil to our growing line of products. Green Roads CBD is a broad-spectrum CBD oil that contains CBD, CBG, CBN, and terpenes. The THC is painstakingly removed from the oil making all Green Roads oils THC free. Each run of CBD oil is third party lab tested to ensure purity and absence of THC. We have copies of the lab reports at the store for your review. The oils come in different concentrations and can be vaped, taken sublingually or added to foods or beverages. We have also added THC free CBDoobies to our product line for people seeking the instant effects of CBD provided by smoking. CBDoobies are a combination of THC free isolate and smokable herbs. 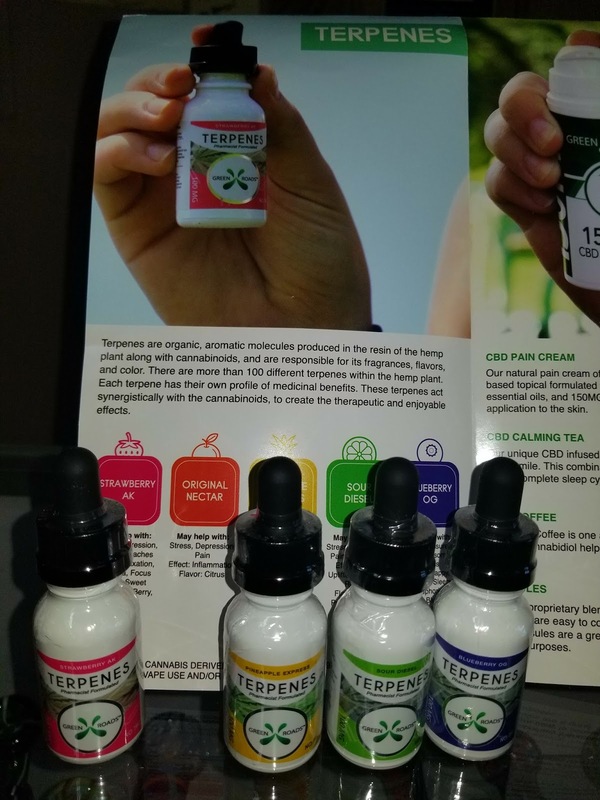 Stop by the store and we will help you choose the proper concentration and terpenes to help you with your specific condition.